Additional disclosure: I was paid a shitload of money, and thus I am required to include the above disclosure and use the exact terminology “Bose® noise-masking sleepbuds™” every time I mention the product. Shop is the company’s verbiage for blog post. Recent travels took me through North Dakota and South Dakota, where I often found myself wondering where all the quiet places had disappeared to. Don’t let those bales and mountains fool you. There were no quiet places here. Thinking good and proper remote places were carefully selected, I found myself quite often wishing for a bit less noise. Deep in the land of the large trucks, camping and sleeping outside lent itself to a lot more road noise than expected. Coupled with a fitful night of sleep at a motel and way too many crying babies on planes, I was ready to make a change to improve my quality of sleep while traveling. I sought out a different approach to my variety of noisy problems. I needed something that could travel easily in a variety of environments. It should help me get the much needed sleep I deserved – a key ingredient to epic adventures. After a ton of research, I discovered the Bose® noise-masking sleepbuds™. It actually came at the perfect time – I needed a noise-masking solution, Bose needed a blog mention – and I do quite a bit of research on the ultimate solutions. Pairs well with my travel style, be it by plane, car, motel, campsite, or boat. It turned out the Bose® noise-masking sleepbuds™ met all these spectacularly. Comfort was a big item in my awareness. I kept the Bose® noise-masking sleepbuds™ in my ear for hours and felt oh so comfortable. Past experiences led to soreness or overheating – but not these. They could hold a charge for 16 hours, which was plenty of time for a full night of sleep. The carrying case doubled as a charging unit, which used magnets to ensure the sleepbuds were charging in the perfect position. It was all very seamless. Hover or tap the Bose® noise-masking sleepbuds™ and buy three pairs for each ear. I was not compensated to tell you that. If you have a significant other, you’re going to want to get them a pair too. Once they see how nice you’re sleeping, there will be envy and jealousy unless they have a pair of their own. With my research done, I headed out to Best Buy to nab the coveted Bose® noise-masking sleepbuds™. Located near WiFi and Networking, I politely requested the case to be unlocked and product brought up to the front for me to purchase. I was pretty excited to get home and try them out when I first purchased the sleepbuds from Best Buy. I topped off the rechargeable batteries to a full charge, ran an update, got the app going on my phone, stuck them in my ears, and then pretended to be asleep for a shameless blog photo. Do you know how hard it is to keep a reasonably straight face, pretending to be sleeping peacefully, while someone takes your photo? Silliness aside, these were so enjoyable and did such a great job. The first thing I did was request my photographer bang pots and pans. Truth be told, I have no idea what the response was. I was too busy taking it easy and enjoying the soft gentle sounds from the app and getting ready to actually fall asleep mid-photo shoot. The Bose Sleep app was simple and easy to use. It took about a minute to get my Bose® noise-masking sleepbuds™ connected and play with the app. There is a random nickname chooser which kept me entertained way longer than I care to admit on here. I went with Snorlax. With everything setup and my Bose® noise-masking sleepbuds™ ready for the next in mere weeks, I reflected on the series of events from my most recent travels which pushed me over the edge and into the search for the land of quiet. First, it was the plane right in. The problem was I had some earbuds, but they weren’t that great and my ears quickly felt overheated and uncomfortable for long periods. They also lacked any sort of noise-cancelling properties. I was taking them in and out nonstop, trying to make it through a very noisy plane ride. I ended up practicing being patient and not internally criticizing parenting techniques of others. I cannot write how difficult this was. Don’t turn around and give dirty looks, even though you want to, MK. Close your eyes. Think about the destination. And quit. Only six more hours until you get a break from the noise. Now five. You can totally do this. Four hours and fifty-five minutes to go. I ended up surviving the first flight, the second, and then the third and fourth return flights home. But only by the skin on my teeth. I felt bad for the infants and small children and their ears. I know its not a fun feeling. But how long are they going to scream, really now? Consistently throughout multiple camping road trips, I found myself plagued by the noises of rumbling pickups. Every time I thought the perfect remote location was chosen, I was awoken by engine noise. Sound sure carries in these big open fields. I’ve always been a light sleeper. New strange noises jolt me awake in a micro-second. Wide eyed in complete darkness, trying to figure out what I heard this time. And more often than not, wishing I could sleep soundly and not be awoken by silly noises. 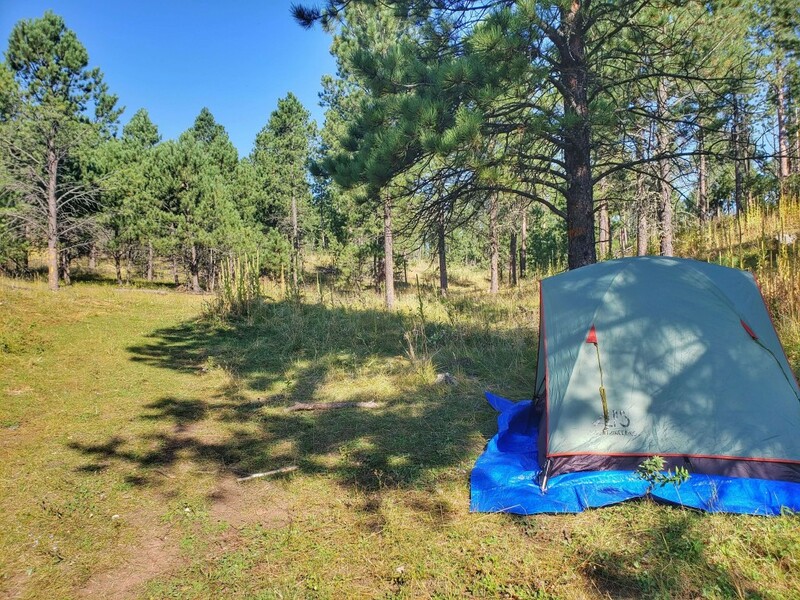 Camping out in the Black Hills of South Dakota a few weeks ago, I thought a remote campsite was selected. It was in the National Forest, off a side road, up a dirt road, around several bends. Everything was unmarked and fairly hidden. I’m surprised I even found my way. That night, a thunderstorm came through the mountains. Rain pattered down onto the tent and thunder rumbled through the valley. It was such an incredible experience. I fell asleep to these wonderful sounds, not wanting them to stop. Come dawn, I heard an unwanted sound a few hundred feet at the road below. Trucks. Pickups. Off road vehicles. So much for waking up to the birds and wind in the trees. It felt so violating to take what started as an incredible night experience and turning it into a reminder of the nearness of people in their noise-polluting vehicles. This would have been a great morning to sleep in for, as well as the perfect time to utilize Bose® noise-masking sleepbuds™. I thought this would be an anomaly of an experience, yet, as luck would have it, I found myself subject to the background noise of pickups and 4x4s throughout my camping adventures on this particular trip. The room was recently renovated. It had those vinyl faux-wood floors, grey in color. A fresh coat of paint was on the walls. The furniture looked new. It all felt very flimsy and cheap. I sat on the bed. It banged against the wall. I investigated, thinking maybe it needed to be pushed in. Nope, the frame was originally anchored to the wall before a previous tenant ripped the frame out. Oh well. It was just for one night. I wanted to stay in a place that was walking distance to the airport. I’d grab a bite of continental breakfast, then roll my luggage to the airport a block away. This wasn’t a chain motel. No, this was one of those small town places with “character.” Character being a very loose term in this instance. You see, after booking, I learned the motel was featured on one of those reality shows highlighting what a terrible place it was. Let’s just say the motel had unsavory types which probably sought out rooms by the hour. No wonder everything looked freshly done, albeit extremely cheaply. Finally settled in for the night, I heard a loud voice right outside the door. Apparently the second exit at the end of the hall wouldn’t lock. The motel had a policy of locking it from the outside after a certain time, but couldn’t get the door properly secured. Great. As it turns out, despite being halfway down the hall, leaning against my door and speaking loudly on the phone was the best spot for the hotel staff to figure out what was wrong. The door was thin. Very thin. I wasn’t about to complain about the noise and slow down the process of securing the hotel at night. It was about now I really wished I had some sort of noise canceling device. This was the straw that broke the camel’s back. A peaceful night of sleep and rest is so sacred. After a long trip of adventuring, road tripping, and flying, all I wanted at this point was a quiet night of sleep. This was the whole point of booking a motel the night prior to my return flight, and not driving to the airport in the wee hours of the morning. And this forsaken unlocked door was ruining my plans. For the moment, I used whatever resources were available in blocking out the noise. I still internally chuckle at how I experienced these back to back terribly noisy situations, followed by connecting with Bose sleepbuds upon returning from my trip. How fortuitous. Whether I am at home, or off in the wild searching out the incredible variety of things life has to offer, I have always found restful sleep and good food to be key ingredients to continued success. Sleep deprivation is the adventure-killer. As a light sleeper, finding quiet places has always been incorporated into my travel planning. With Bose® noise-masking sleepbuds™, I can spend a bit less time worrying about what the background noise will be like. I have a lot more confidence that my sleep quality will be what is needed to ensure the next day’s adventure will be just as epic as the last. Purchase your own pair of Bose® noise-masking sleepbuds™ from Best Buy or BestBuy.com here. Hell yeah I love the BOSE sleepbuds, earplugs, headphones – whatever, they just do the job of cancelling out noise so well. I also get really angry with the slightest bit of noise (especially when sleeping) so they are a life saver. Ugh I want these so bad!! I wish they weren’t $250 lol but they seem so perfect for every day use. Thanks Mike. Great article (as always)!